“I don’t think I fit in. And that’s what I like about it…I’m an outcast.” Words spoken by a true artist! I had the pleasure of interviewing my girl Crystal Nicole, a singer/songwriter. Although she has been in the industry for years, she has yet to make her official debut, and now she is ready! It’s hard being the new kid on the block. 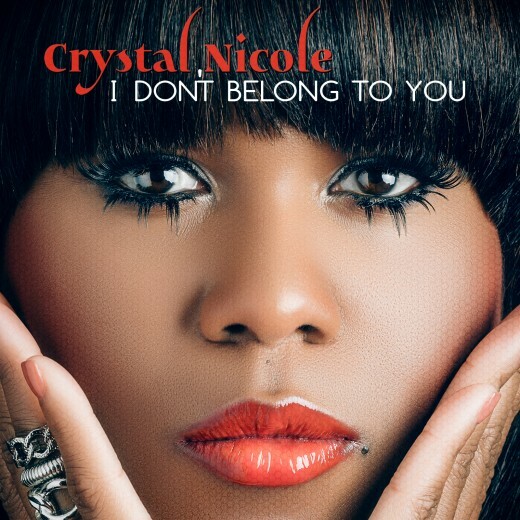 No one likes feeling like they don’t belong, unless you’re Crystal Nicole, a self-proclaimed “outcast!” The young talent is a singer/songwriter from Decatur, GA, and welcomes the idea of standing out. Crystal Nicole isn’t exactly a household name, but soon, she will be. For years, the singer has worked behind the scenes for some of the biggest names in the music business – Mariah Carey, Janet Jackson, Rihanna, Beyoncé. Now, as she prepares to release her debut album “I Am Crystal Nicole”, the singer is finally ready to come out of the shadows and show the amazing talent that she’s managed to keep under wraps for so long. Releasing your first album can be scary, and the feelings of insecurity can creep into your psyche and really make you doubt yourself. Not to mention, in such a cut throat industry, a bad decision can end your career. Crystal says that she used to be worry about that all the time, but not anymore. I’m not nervous. I used to be very concerned about what people would think. That might be one of the reasons why it’s taken so long. I wanted to make songs that everybody would like. But this album is mine. Before anybody else can go buy it, I got it. So I have to make sure the songs are pleasing to me and true to who I am. Being true to who she was wasn’t always an easy task for the songstress. Like many women, Crystal struggled with her self-image. She says she had a hard time dealing with her looks, until she started being more realistic. I grew up thinking that I had to look a certain way, and if I didn’t look a certain way that I was ugly. For most of my life, I had that warped mindset. I didn’t realize that the magazine covers were altered. After I realized that, I went on a tangent. I came to the conclusion that whatever God did for me was the best. And I was going to be grateful, instead of focusing on what somebody did on a computer with someone else. The singer seems to be very much in touch with the Creator. Her single “For the Both of Us” is a single she described by saying, “If God was doing an album, this would be his first single.” Pretty bold statement for a newcomer, but when she really broke it down, everything made sense. ’For the Both of Us’ is a love song from God to people. As I was about to write this love song, I felt it should be the ultimate love song. A lot of times, in these songs, we say, I’ll go grab you the moon, or boy I’ll do this, or girl, I’ll do that. But we can’t do that stuff. That’s not even our stuff. Who could actually do this for you? The only person who could actually do it, and has done it, is God. This would be His love song. Her “can do” spirit and passion is what has gotten her so far. She says she achieved her goals the old fashioned way – hard work and dedication. In an industry that isn’t always so kind to women, Crystal managed to keep her eye on the prize without falling victim to unwanted distractions. I feel like a lot of times, women are treated like trophies [in the industry]. They’re either put on a pedestal, or thrown on the ground. But you can tell somebody how to treat you just by how you treat yourself. Sometimes, the way some of the women are treated has a lot to do with how they carry themselves and what they’re willing to do. I know a lot of aspiring songwriters who are willing to do whatever just for a placement. The route I chose, it took a lot longer to get there and a lot more work. But I never had anybody come on to me crazy, and I never had anybody ask me to sleep with them for a record. I’ve learned that if you don’t know who you are, before you get to this business, somebody else will tell you. I gotta know me. I think it’s pretty clear that the singer knows exactly who she is! The title of her album says it all. “I Am Crystal Nicole” is set to be released next year. Until then, her song “I Don’t Belong To You” is available on iTunes. Nick Cannon Discusses Split From Mariah Carey!